Union Bank of India release notification for 100 vacancies. Union Bank of India release an official notification for the recruitment of 100 special officers. There are 50 vacancies of Forex Officer grade II and 50 of Integrated Treasury Officer grade II. Interested candidate can fill online application for UBI SO from the official website of UBI or from the direct link given below. Minimum and maximum age limit for forex officer are 23 year and 32 years respectively. Minimum and maximum age limit for Integrated Treasury Officer are 23 year and 35 years respectively. Age relaxation for SC is 5 years, OBC 3 years, PwD 10 years. Candidate should have a Bachelor’s degree in any discipline from a University/Institution/Board recognized by Govt. of India/approved by Govt. Regulatory bodies. Candidate must have completed a Certificate Course in Foreign Exchange conducted by IIBF. 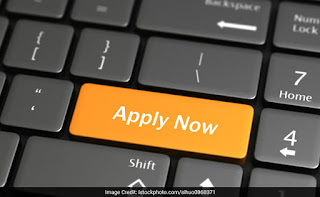 Candidate must have Post Qualification Work Experience in Foreign Trade Finance operations in Public/Private Sector Bank in the capacity of Scale-I and above for a minimum period of two years. Desirable – It will be desirable if candidate have a professional qualification like MBA/PG Diploma in Business Management with Specialization in Finance from a University/Institution/Board recognized by Govt. of India/approved by Govt. Regulatory bodies. Candidate should be a Graduate/ Post-Graduate Degree with specialization in Finance/Mathematics/Statistics/Commerce from a University/Institution/Board recognized by Govt. of India/approved by Govt. Regulatory bodies. Candidate should have literacy in Computer Operations and Word Processing/Computing skills like MS Excel. Candidate must have Post Qualification Work Experience in officer cadre in front/Back office of a Treasury in Public/ Private Sector Bank/ Financial Institutions for a minimum period of two years. Desirable – It will be desirable if candidate have an MBA /PG Diploma in Business Management with specialization in Finance from a University/Institution/Board recognized by Govt. of India/approved by Govt. Regulatory bodies. Download Official Notification from the link given below.